Responsive service in everyday language – no geek speak allowed! Business grinds to a halt or a slow crawl when your network goes down. When your IT systems go down or aren't working 100%, productivity goes down. People can't get their jobs done. The longer it takes from IT help desk ticket submission to resolution the more time your business wastes. A responsive help desk ensures fast resolution of IT tickets AND improves morale – no one likes to wait for hours to hear back from IT. The Datamax Arkansas promise – rapid response and we make sure you understand us because no one likes to hear a bunch of IT-speak. Receive an immediate email response. Receive a second email when your ticket is assigned – always within 15 minutes. Receive a phone call – to ensure the ticket is solved ASAP, the support desk resource will call when ready to work on the ticket to clarify points as needed. Receive written and verbal check-ins until the help desk ticket is resolved. Our goal is to make the frustration of an IT issue as pain-free as possible. 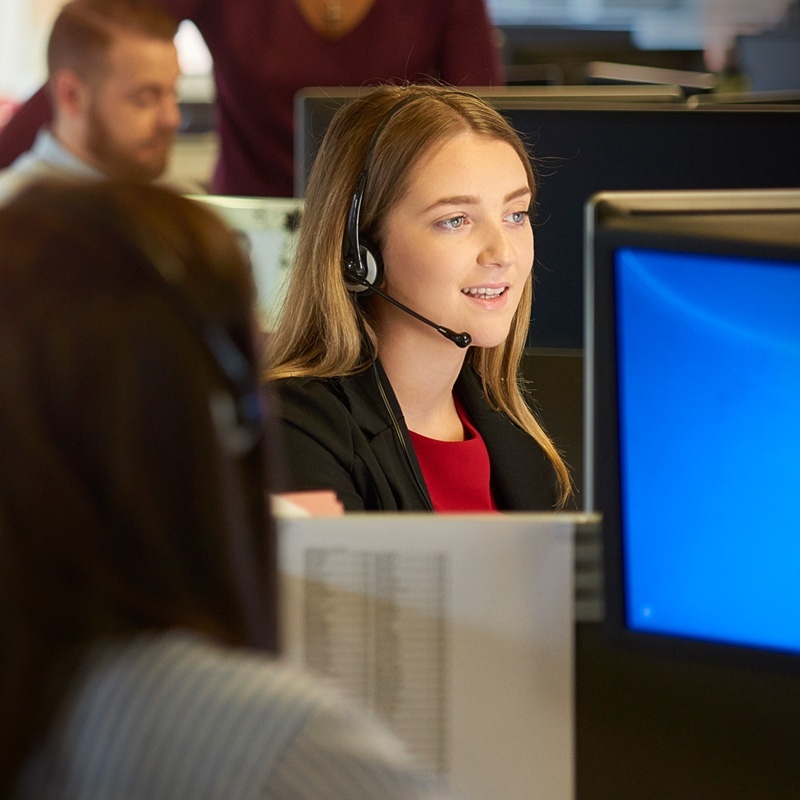 We use the latest support desk technology so that our remote monitoring managers and technology specialists have 100% visibility into all ticket information. We really do have you covered! Our plain English Support Desk is included in ourTechCare® Managed Network Services framework. Discover what managed network services can do for your business, visit our TechCare® webpage knowing that your support desk will be the best you'll find anywhere. Under Datamax's TechCare® Managed Network Services program, you will receive immediate acknowledgement when placing a Datamax support request ticket and we will assign a resource to that ticket within 15 minutes.